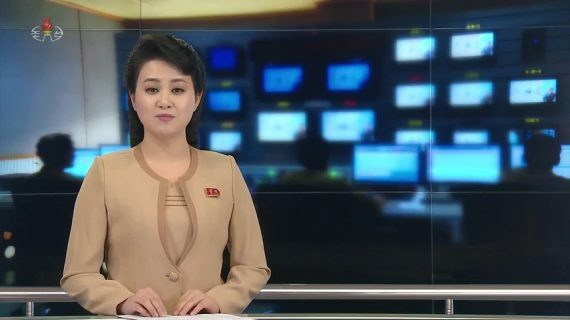 Korean Central Television tried out a new look for its news last week, giving the main evening bulletin a slightly more contemporary look. But while the on-screen presentation was a bit more attractive, the main subjects covered in the news weren’t any different from before. The changes could be due to the increased influence and availability of foreign media within North Korea. Movies and TV shows from overseas have flooded the country’s markets for the last 10 years and are now watched by many. 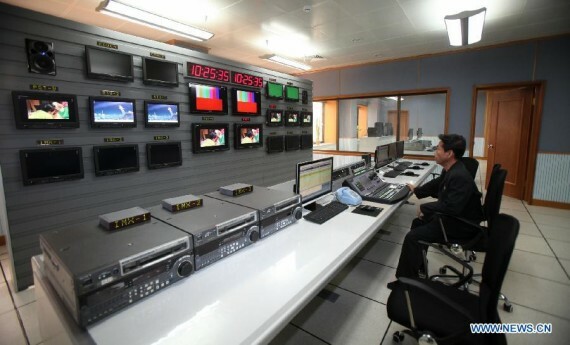 The more modern production values and greater use of technology is a long way from the typical output of North Korean state TV and probably reinforces the differences. Even bigger changes were included in the economic news reports. The first covering increased production of light industry in Pyongyang opened with a drone shot of the front gate and the outside of a building. Inside a factory, there were tracking shots of workers at machinery and rack focus was used to highlight individual workers. These are all types of visual tricks that videographers use to make video more interesting and engaging and highlight certain elements or aspects of the shots. And computer graphics were used throughout the report to enforce what the reporter was saying and illustrate certain points. 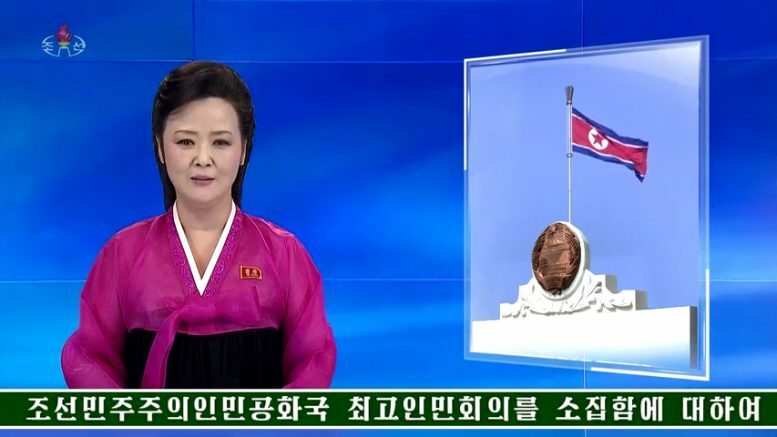 Computer graphics have been rarely used in North Korean news reports in the past, so this represents a big change. 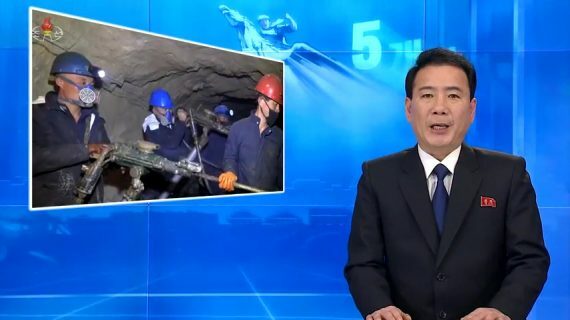 The new shots and graphics could make the bulletin slightly more attractive to viewers but there is still no getting away from it being government propaganda. 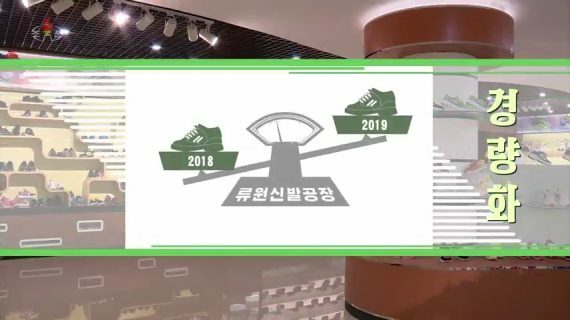 In addition to the industrial production story, there were reports on the Pyongyang Cosmetics Factory, Yuwon Shoe Factory and Pyongyang Bag Factory. Why the focus on production? Because it sets an example for workers to push to achieve Kim Jong Un’s goal of economic growth. As usual, the exact reason for the change remains a mystery. Equally a mystery is that the new style was used just once. On Friday evening’s bulletin and on subsequent news broadcasts until Monday, KCTV has employed the previous style. Perhaps Thursday’s broadcast was a test of changes to come. Here’s the entire news bulletin. The economic news segment begins at 4 minutes into the report. 2 Comments on "KCTV tries a new look for the news but the content stays the same"
I’ve visited Pyongyang a couple of times, could never get KCTV on my hotel room tv. 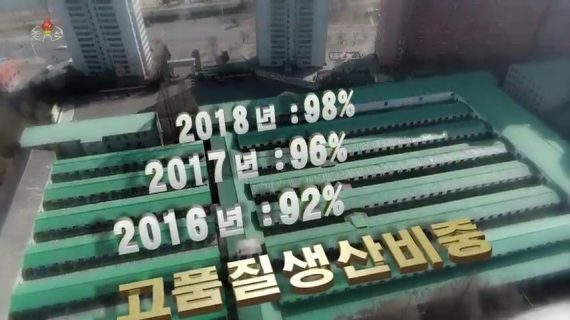 So they produced fewer shows in 2019 than in 2018?